There is an eternal struggle between the event production team and the presenters (internal and, less frequently, external) to get presentation content in the hands of the production team well before an event. This needs to happen for several reasons. This doesn't happen for several reasons. There is an established culture of "putting together the presentation on the plane", etc. In our minds, this will be an ongoing struggle, because the reasons for this needing to happen and the reasons why it doesn't happen are both pretty legitimate and need to be balanced in a diplomatic manner. However, based on our experiences working with clients and other production teams there are certain things you should NOT do. 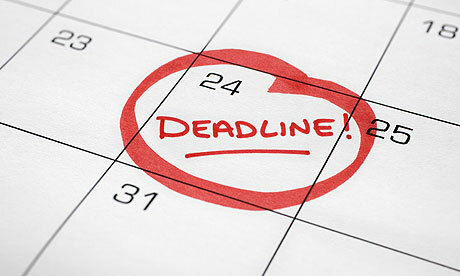 Create artificial deadlines: Don't be the event producer who cries wolf. A presenter knows that it's unnecessary to have a finished presentation two months before an event occurs. We once worked with a presentation team that wanted locked-in teleprompter copy (with no changes on-site) MORE THAN ONE MONTH before the event. It was unrealistic and it made it easy for every single presenter to completely disregard the legitimacy of other (more crucial) deadlines. Ignore deadlines and hope for the best: Presenters should have a good outline of when things are expected of them. Some production companies set the final deadline as "When the presentation is being presented on stage" with no other milestone/check-in points. Deadlines *do* need to be managed, and timetables help set everyone's expectations. Mismanage the presenters: Think of this like Goldilocks and the Three Event Producers: One micromanages too much, the other isn't attentive enough...and one is just right. Don't be the presentation task-master without a healthy dose of flexibility and diplomacy. We worked with an event producer who was incredibly harsh about presenters getting their stuff in by exact deadlines. Not only did the presenters resent the event producer, but they started to actively ignore their requests because they weren't presented in a reasonable way...and the presenters were the *client*. Cut off changes completely: You can say that changes at the last minute are not ideal, but to cut off changes completely at an event because presenters didn't meet the deadline is not going to benefit the event overall. Be prepared for changes to happen because events are a dynamic animal, subject to interjections from the world, from the audience, from the company, from the event itself. A presenter wanting to add in a slide in the morning because they heard a concern over and over again at the networking reception the night before is something that can and should happen. Use peer pressure: We worked with a client who used a peer-review session deadline; a week before the event, every presenter would get together in a room and present their content for the event to each other. They would then get presentation feedback. This forced presenters to get the content done--they didn't want to be the only one who hadn't done their part, or let down their other peers. Even having an updated list of who has/hasn't turned in their presentation can apply a bit of peer pressure to help move deadlines along. Utilize rehearsals: The previous example not only utilized peer pressure, but it also included another component: rehearsals. Often times we like to do a "dry run" of an event a week before--even if it's over the phone. Scheduling ample rehearsal time on-site (and clearing a presenter's schedule of on-site obligations so they can attend) will also minimize VERY last minute changes. Provide Incentives: In a particular company, presenters got $50 if they turned in their presentations on time. It's not that $50 was so much money, but it provided a tangible incentive to be on-time--and everyone in the procrastination-prone company turned everything in on time. One can also take the stick approach--meet deadlines or get time taken away--but the carrot is more diplomatic. Shape the event and give talking points: Having a very concise theme (we're not talking "A year to win" or similar event themes, but rather a content throughline) and talking points that you'd like each presenter to hit can help them get a head start on their presentation. It gives them something to react to instead of having to generate a presentation from scratch (which can frequently hold up initial deadlines). Theme: Everything about this event is geared toward helping the sales force get their "swagger" back after a tough few years. Direction for presenter: How will the marketing strategy for this year help the audience feel like they have swagger? What specific things are you doing to support them? Frame the value: Face to face events are a huge opportunity for a presenter to get in front of their audience. They are also a huge opportunity for a company to give the attendees a unified message. The importance and impact are so great that a last-minute presentation is most likely not going to cut it. Events are an investment. Framing the value of the event to presenters may seem like common sense or something that they already know (or should know), but often times no one frames it like this. Letting presenters know that this is their time to shine and step up, and communicating what it means to them and the company can help them to be more thoughtful about their presentation and attendant timelines. Good event production teams are flexible and pros at making last-minute changes look effortless and flawless. That doesn't mean they *are* effortless. Good production teams may be able to get presenters to turn in their content well before an event, but they are also equipped to handle situations in which this does not happen. This may mean extra on-site staffing, people dedicated to working exclusively with particular presenters, etc. If a production team has worked with a company before and it's been an issue at previous events, building in extra staff in the contract and citing past experience is in the client's best interest and in the interest of the sanity of the production team as well.